Safety inspectors at the Federal Aviation Administration who were involved with approving the Boeing 737 MAX may have lacked proper training and certifications, according to whistleblowers who testified before the Senate Commerce Committee. The powerful committee’s chairman, Senator Roger Wicker, a Mississippi Republican, revealed this latest development in a letter to the FAA’s acting administrator that was released by the committee yesterday. “The Senate Committee on Commerce, Science, and Transportation has received information from multiple whistleblowers alleging insufficient training and improper certification of Federal Aviation Administration (FAA) Aviation Safety Inspectors (ASI). As chairman of the committee, I request your immediate attention to these matters,” Wicker states in his letter. Allegations from these whistleblowers include information that numerous FAA employees, including those involved in the Aircraft Evaluation Group (AEG) for the Boeing 737 MAX, had not received proper training and valid certifications, the letter adds. This news comes as Boeing works to correct the software used on the 737 MAX, which was involved in two fatal crashes since October, killing 346 people. The first crash of the 737 MAX occurred on Oct. 29 off the coast of Indonesia. The second on March 10 in Ethiopia. The planes have since been grounded around the world. Wicker has launched an investigation into potential connections between training and certification shortcomings and the FAA’s evaluation of the airliner, he said in his letter, released Tuesday. The FAA meanwhile, says it is supportive of the Senate investigation. “As the FAA Acting Administrator Dan Elwell stated in last week’s Senate Commerce Committee hearing, ‘In our quest for continuous safety improvement, the FAA welcomes external review of our systems, processes, and recommendations,'” FAA spokesman Gregory Martin said in an email, according to The Seattle Times. The Senate’s investigation is one of many now aimed at the FAA. The Transportation Department’s inspector general is also reviewing the FAA’s process for approving new jets and is also aiding a Justice Department criminal probe. In addition, a grand jury convened by U.S. prosecutors subpoenaed a former Boeing engineer demanding that he provide testimony and documents related to the 737 Max. Wicker said in his letter that whistleblowers have alleged that some FAA personnel may have participated in an agency panel known as the Flight Standardization Board (FSB) that determined pilot training requirements for the 737 MAX. “Allegations from these whistleblowers include information that numerous FAA employees, including those involved in the Aircraft Evaluation Group (AEG) for the Boeing 737 MAX, had not received proper training and valid certifications,” Wicker’s letter continues. The committee is concerned that such potential lack of training and certification of FAA aviation safety inspectors, and participation of those same inspectors on the Flight Standardization Board may have led to the improper evaluation of the plane’s Maneuvering Characteristics Augmentation System. Wicker also notes in his letter that the FAA may have been made aware of such shortcomings long ago. According to the whistleblowers and a review of documents obtained by the committee, the FAA may have been notified about the deficiencies as early as August 2018. 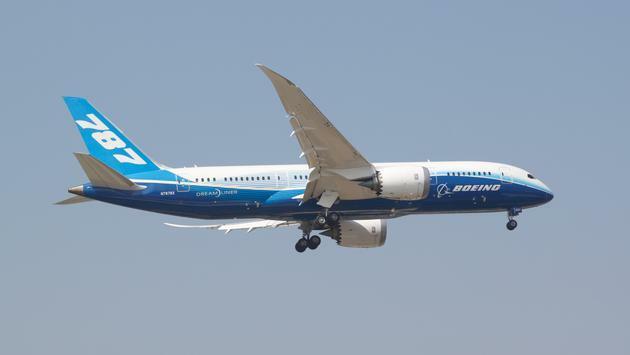 Boeing meanwhile is still working to correct the problems with the plane and recently announced that those fixes will take more time than expected.